Whether you want books, magazines, movies, audiobooks, ebooks, downloadable audiobooks or emagazines, the Library has something to offer. Browse through our catalogues whenever and where ever you want. Find and reserve books, movies, music, magazines that are available at the Cranbrook Public Library. If our library doesn’t have what you’re looking for, find it at another library and request it to be delivered to the Cranbrook Public Library. See our guidelines on borrowing from other libraries. 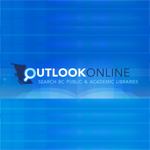 Download eBooks and audio-books from Library To Go. 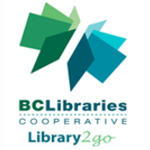 Libby is Library to Go’s app for computers, tablets, and smart phones, which makes downloading e-books and audio-books simple. Many new release downloadable audio-books, popular magazines, and classic e-books at RBdigital. Watch award-winning shorts, features, and documentaries from more than 50 countries on IndieFlix. Streaming movies available on all Internet-enabled computers, tablets (including iPad and Android), smart phones through the Web browser, and on Roku and Xbox. Digital talking books for people with print disabilities available from NNELS. This library is participating! Log in with your library card. Please note that these collections are hosted on third party websites with their own sets of privacy policies.